These easy pork chops are a snap to fix and cook in the skillet. The seasoned chops are browned then barbecue sauce and apple juice are added. The chops are then simmered until tender and delicious. 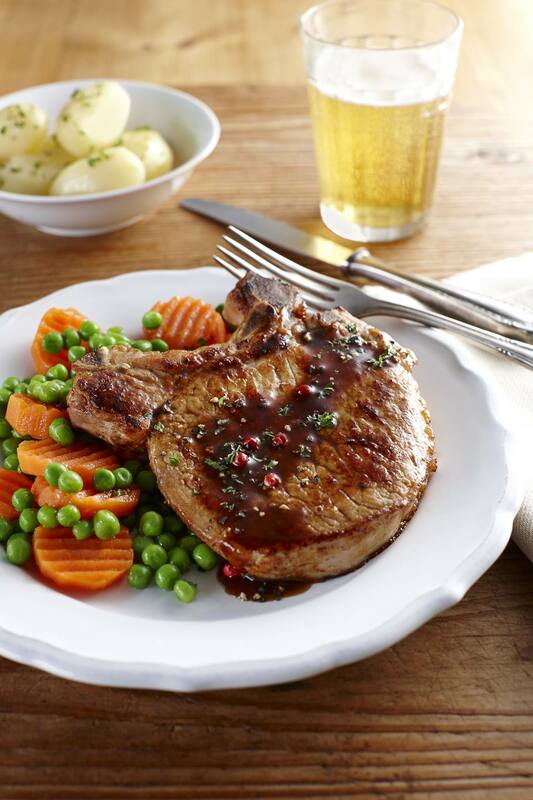 Serve these flavorful pork chops with baked potatoes and your favorite vegetables or a side dish casserole. Wash the pork chops, and pat dry. Combine the paprika, cumin, salt, and pepper; rub the pork chops with the mixture. Heat oil in a large heavy skillet over medium heat. Brown the chops for about 5 minutes on each side. Remove to a plate and remove excess grease from the pan, leaving about 1 tablespoon. Add the onions to the pan, and cook until the onions are lightly browned. Stir in the apple juice and barbecue sauce. Return the chops to the pan, and bring to a simmer. Cover, and simmer for 20 minutes. Remove the cover, and simmer for 5 to 10 minutes longer, or until the pork chops are tender.